Phew… what a long day! On this dreary, rainy morning, David said to me that, ‘I would lie in bed all day listening to the Classic FM’s Hall of Fame countdown’. I did indeed lounge for the first hour of the day. I wanted to hear who was at no. 300. It was Henry Litolff with his Concerto Symphonique No. 4. I snuggled with Artie who suckled, but by 10am I was up and have not stopped since! Firstly I made a start with the laundry and then onto the glass/window cleaning in the house. The dining room table is always the first to get a once over! I then paused for an hour for a chat and a coffee with Mum. Then after lunch and after David had annoyed me for not eating, I carried on the cleaning. I cleaned the bathroom and bedroom before disinfecting Artie’s cat boxes and the rooms with vinyl floors. 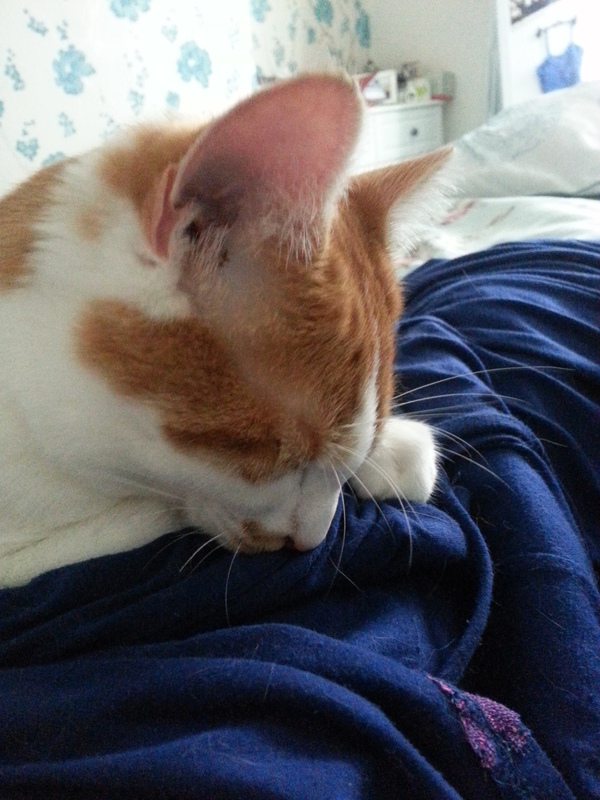 While I left David with the vacuuming, (a chore I despise!) I checked on the plants in the garden and refilled the fat balls for the visiting Starlings and Pigeons. The Dwarf Rhododendron is flowering and the Flame of the Forest is living up to its name! I then did 20 minutes on the treadmill and really put up a sweat before making a start on the evenings dinner. 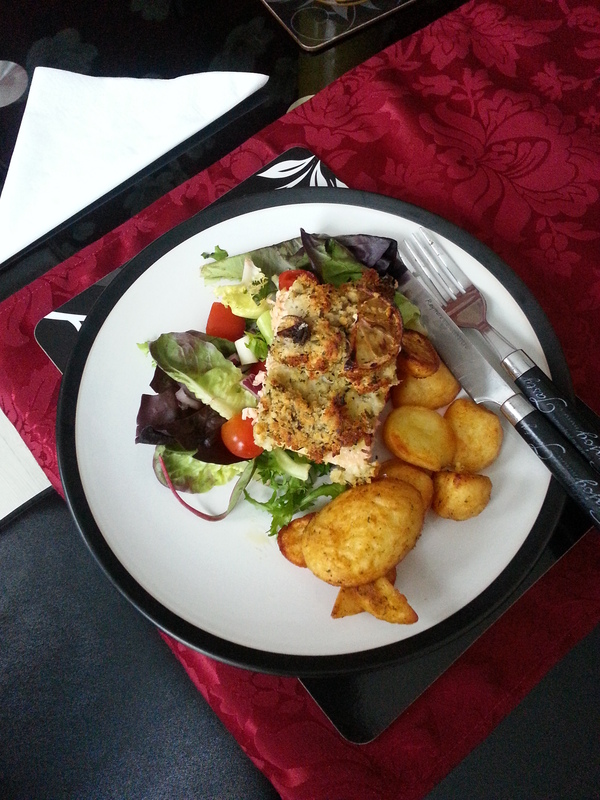 I cooked Aldi’s Atlantic Side of Salmon with lemon, tarragon and cheese crumb. We had this fish for New Years dinner and it was very filling, so I thought it would be ideal for Good Friday! I served it with Aunt Bessie’s roast potatoes and salad. It was scrumptious! 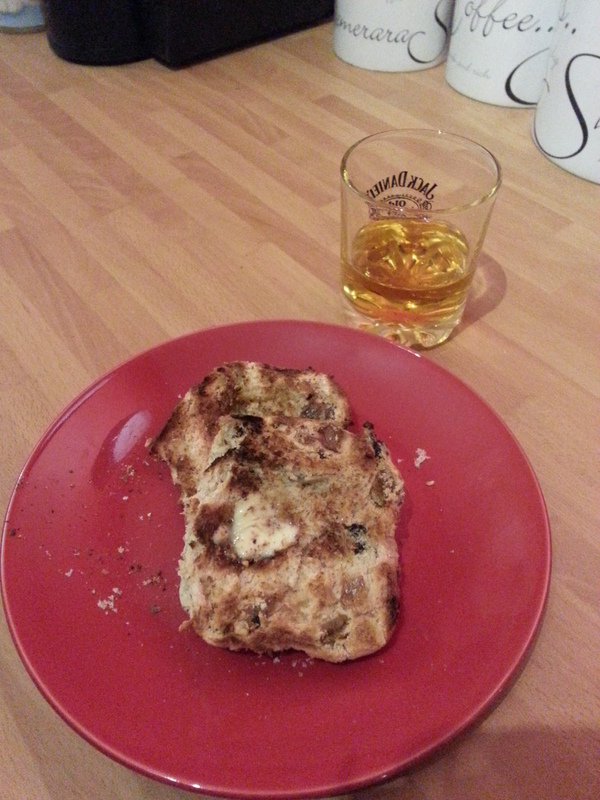 Now that the end of the first day of Classic FM’s Hall of Fame draws to a close with Handel’s Xerxes, I am finally relaxing with a toasted hot cross bun (that I was craving yesterday) and a wee dram of whiskey. It Would have been Beautiful.